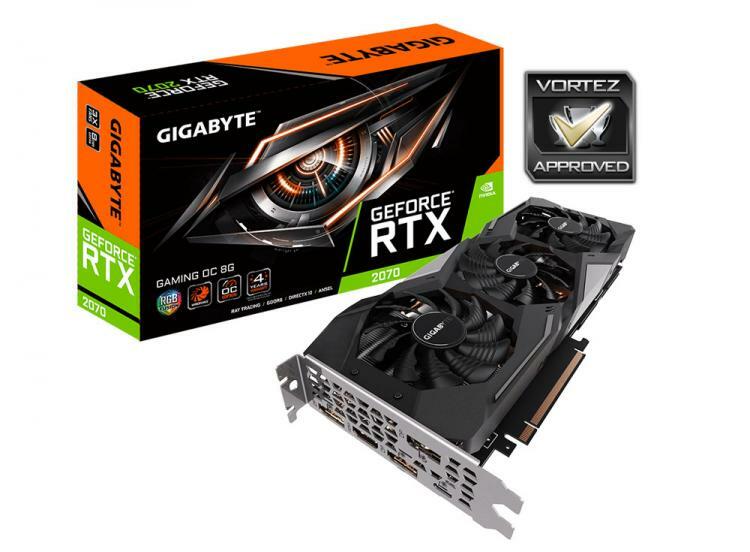 Moving from the GTX series over to the RTX series as far as GIGABYTE’s graphics cards are concerned, very little has changed for the styling and cooling implementation. The WINDFORCE 3X thermal design has a proven track record and it has no qualms in tackling the demand of a TU106 GPU. What we like especially about this graphics card is that it maintains reasonable load temperatures and does so while emitting very little noise. GAMING OC’s sweetspot is 1440p – gamers can enjoy framerates which climb above 60, even exceeding 100 at times (depending on the title). For those gaming at 1080p, this card wouldn’t be a bad choice either since in the more demanding triple A titles, higher resolutions may begin to cripple performance with ultra-detail preset. In the manual overclocking phase of our review we expected GAMING OC to do better since we have an impressive 8+2 digital power design but we only managed to squeeze out less than 100MHz on both GPU and memory clocks. So, unfortunately there isn’t a lot of headroom to apply further modifications to this card. So far as additional features go, we of course can benefit from the WINDFORCE cooler as we’ve already mentioned but there is also little extras such as power indicators for the PCI-e connections, a sturdy metal backplate, subtle LED lighting and a whopping 4-years warranty. Most partners offer 1-2 years, so 4 is a bonus which could sweeten the deal. In terms of pricing, GAMING OC is neither the cheapest or most expensive RTX 2070 available. It sits right in the middle of the stack, costing: £554 GBP - $529 USD - $899 AUD. We think it’s a good buy and would have no reservations in recommending it! The GIGABYTE RTX 2070 GAMING OC is a great representation of a competent graphics card, it delivers strong numbers in the gaming arena and achieves this without piercing your eardrums.